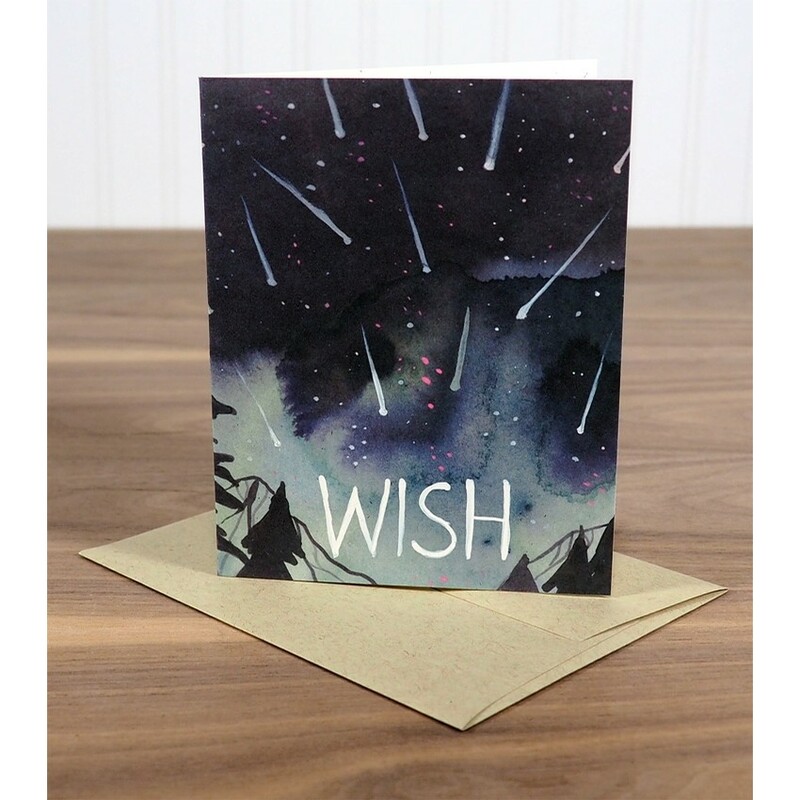 "Wish" is a print of an original watercolor artwork depicting wishing on a shooting star. Give some wishes to a friend, coworker, family or loved one. All notecards are blank inside and printed on archival recycled speckled card stock. Each card is hand cut, hand folded by Adrienne and comes with a recycled kraft brown paper envelope. All cards are A2 (4 1/4 x 5 1/2) size. Item is packed in a cello bag for protection and shipped in a rigid fiberboard envelope.